Pablo Delgado is a Mexican artist who moved to London 9 years ago to pursue his career in art and only recently moved back to Mexico. 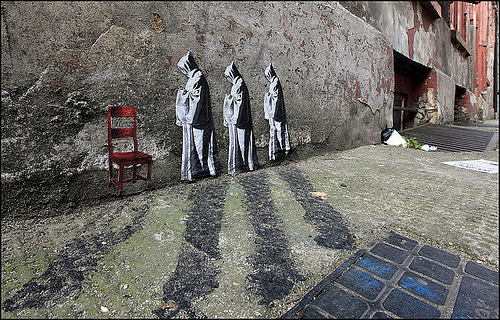 His miniature, iconic pieces of art can be seen on the walls of London’s East End. They consist of tiny doorways expanding into detailed narrative scenes, meticulously depicting a host of people, animals and objects in miniature. His style is also known for the distinctive black shadows that he casts on the pavement in black paint. Pablo Delgado is interested in story telling through his art and the scenes that he creates are always beguiling and humorous with different layers of meaning.